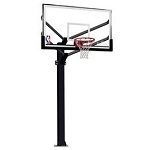 Spalding Arena-View Basketball System - Model 86604AGP 60 inch Glass Backboard Goal. 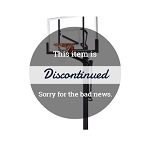 Shipping Included in the pricing of this basketball hoop system. 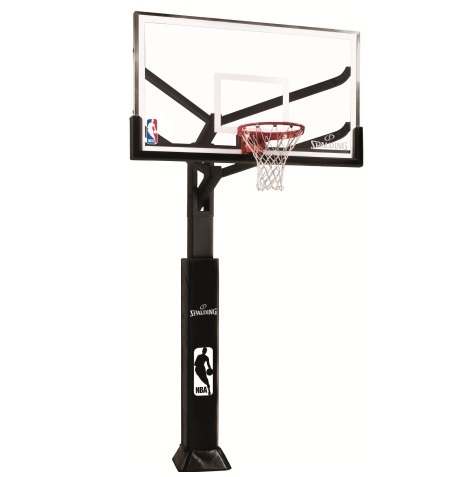 Spalding Arena-View basketball line brings you the professional look you want to your home basketball court. 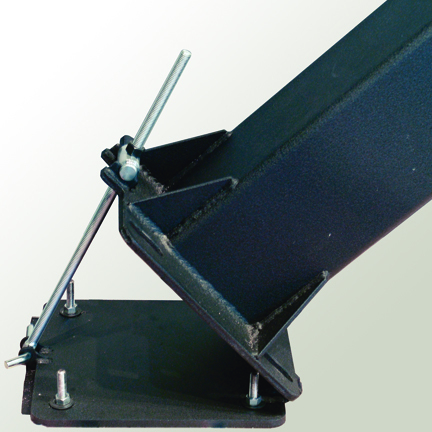 The system features a massive 6 x 6 inch square pole to give you greater stability than a traditional round pole. The 86604AGP uses a bolt down anchor system providing both the stability of an anchor kit, as well as the ability to bring your system with you in the even you need to move. 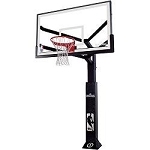 The system uses the U-Turn lift mechanism, which allows you to easily adjust the height of the system from 7 ft. to 10 ft. For more aggressive players, this Arena-View basketball hoop comes with the 180 degree flex rim from Spalding. Rather than just flexing forward like tradition rims, the 180 rim flexes along all 180 degrees of the front side of the backboard. This unit also comes with a pole pad and backboard frame pad to help protect player collisions into this parts of the goal system. Measures 60 inches wide and 38 inches high. Made of 1/2 inch thick tempered glass. Glass utilizes Pro-Tek layer technology, which helps hold shattered glass together. Backboard Mounts via Z-arm, 4-point mechanism, which provides additional stability and less shakiness when players on using the system. Comes with a backboard pad for added protection. Official Arena-View look for great aesthetics on your home basketball court. Features a massive 6 x 6 inch square post. Square post, and size, lend to a stronger, more stable system. 86604AGP uses the U-Turn lift mechanism to easily adjust the height of the rim from 7 ft. to 10 ft with infinite increments in between. Crank handle can be removed to prevent tampering. Safety mechanism keeps the rim from being lowered too far. Pole uses a bolt to anchor mechanism to set the unit in place. Anchoring mechanisms provide great stability for large system and allows you to take your basketball system with you, in the event you ever move. 1 piece pole system provides great stability and helps reduce risk of rusting in the pole. Steel parts are powder coated to help reduce rusting. 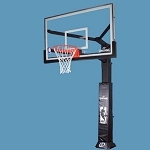 4 ft. offset distance between the pole and backboard provides large amount of safe, playable distance. Product weight is about 583 lbs. Product is shipped in 5 boxes via an LTL carrier. The delivery is a curbside delivery, which will require the recipient to help the driver unload the product. Glass backboard comes with a limited lifetime warranty. All other hardware comes with a 1 year warranty. Warranties are serviced through Spalding. What is the difference between the 86604AGP and 86604HGP? The 86604AGP has a 180 degree spring back rim, backboard pad, and a pole pad. The 86604HGP has a positive lock rim and a pole pad, but not backboard pad. Those are the only differences. Competitive Edge Products, Inc. is an authorized reseller for Spalding Basketball Products and the entire Arena-View line. This product is comparable to, but larger than, the 98862 | Mammoth Basketball Goal. Q: We need a quote for 2 of them shipped to Canada? Fast Shipping: Orders for the Spalding 86604AGP generally leave the warehouse within 2-4 business days. Delivery Details: This product generally ships directly from the warehouse in Alexander City, AL. This item generally ships via a curbside delivery through an LTL carrier (too big for UPS and FedEx). The customer must be present to sign for the order. The freight carrier is instructed to contact you prior to delivery to set up a delivery appointment. Dimensions: 60" x 38" x 15"